Home » visit breweries » Banded Brewing Co.
Our goal is simple: to create delicious beer and share it with great people. 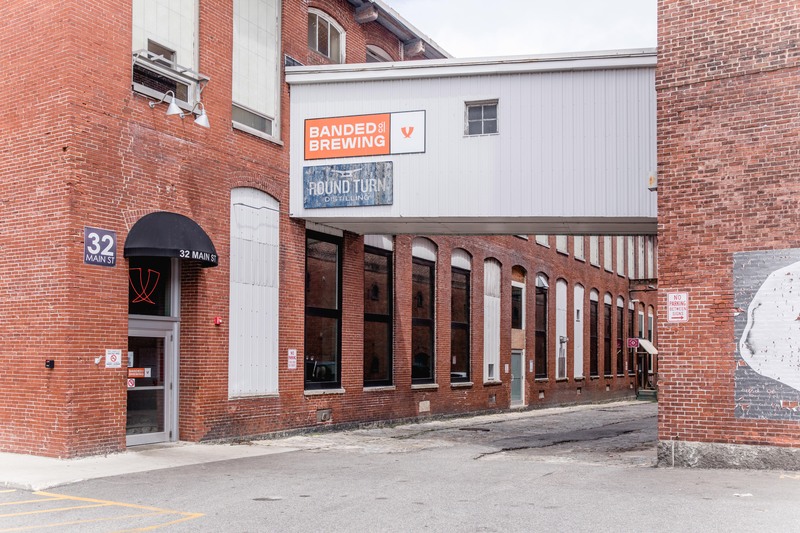 Banded: The name connotes our aspirations of people banding together. As humans, we need to band together to survive, and as an industry, craft beer needs to band together and collaborate to keep beer free and independent. We represent Friendship, Collaboration, and Celebration. The Horns: Believe it or not, our brewery had a logo before it had a name. Drinking horns remain a ceremonial vessel in many cultures and, to us, they represent the camaraderie and beauty of enjoying a delicious beer with great people. Our Location: We’re thrilled to be a part of the current revitalization effort for the Pepperell Mill and the city of Biddeford, Maine. 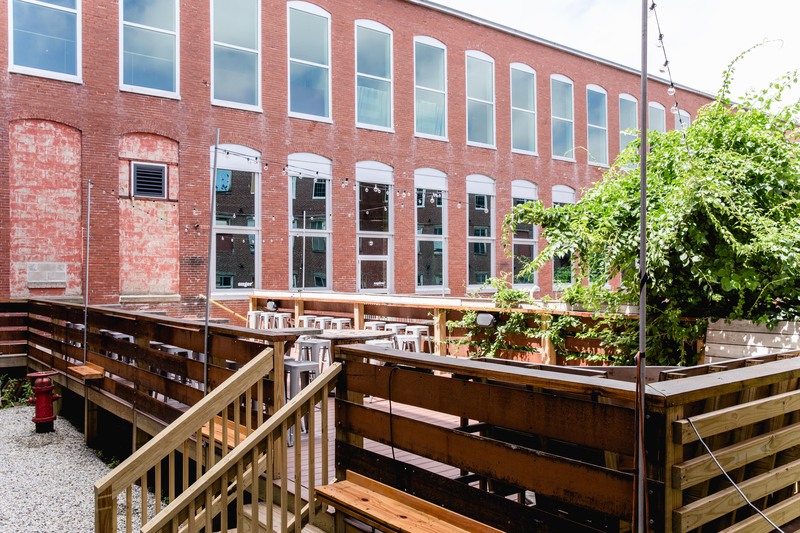 Located next to the Saco River, the building is absolutely stunning and infused with character. 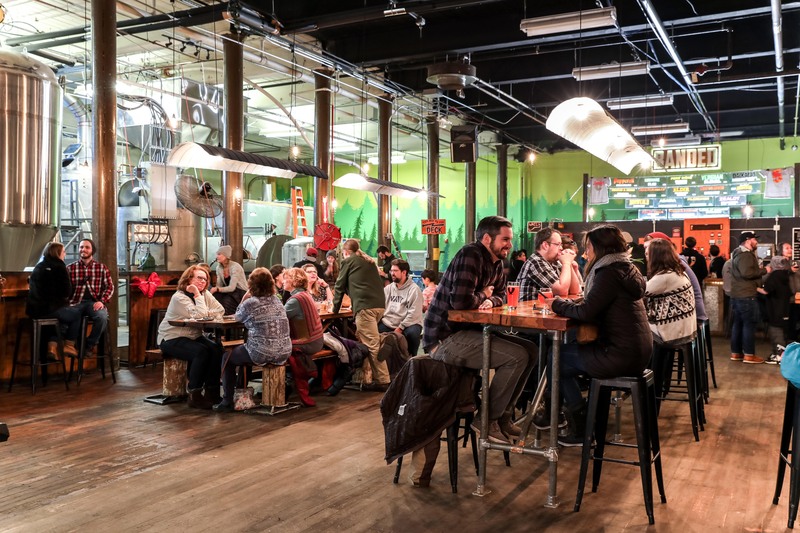 The mill space has a life of its own – it’s a relic from a bygone era.